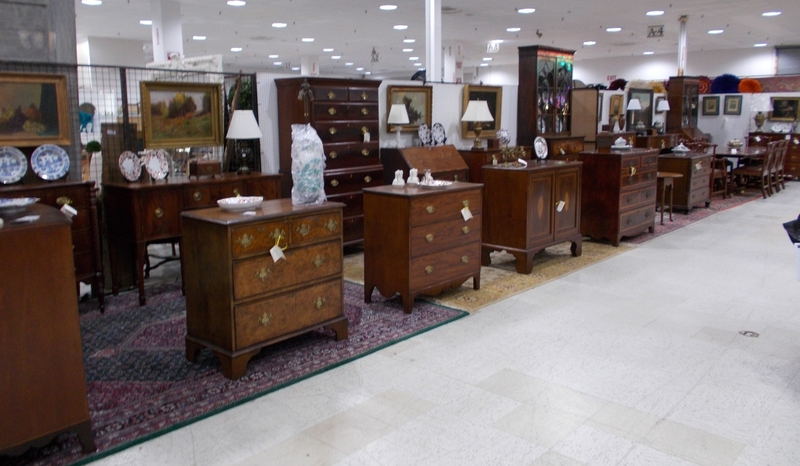 Dealers were equally pleased, and they agreed it allowed them to be much better prepared for the shoppers. 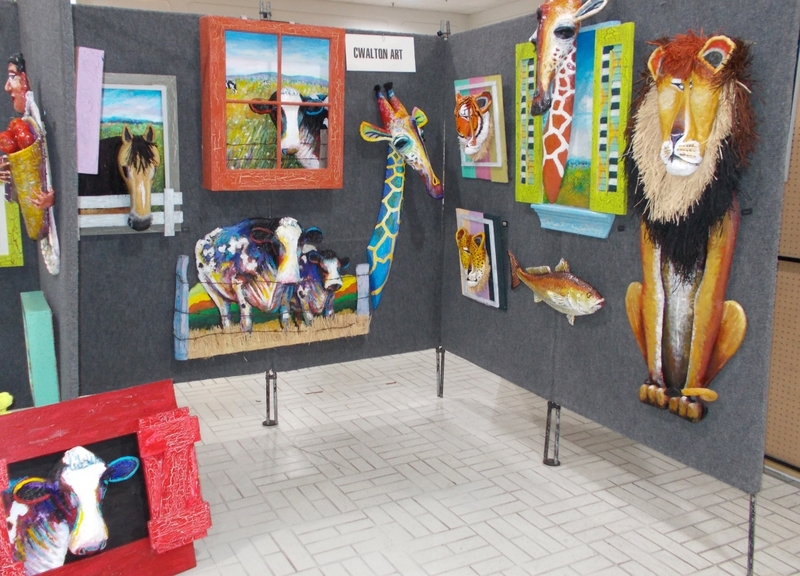 As the shoppers rolled in Thursday morning, they too seemed to appreciate the better prepared exhibits, and the sales began with less confusion from incomplete displays. 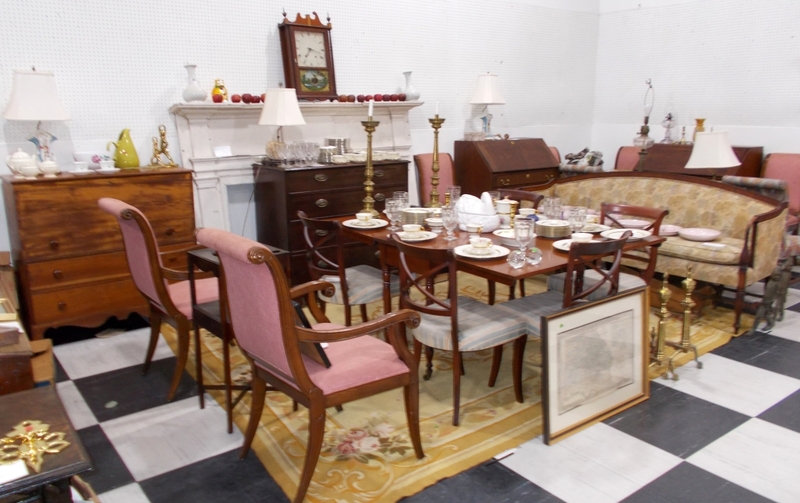 For example, Green Antiques, Sharon, Conn., was quickly the beneficiary of these results, with a couple that arrived at the opening intent upon furnishing their Charleston, S.C., home with Eighteenth Century furniture and doing it in the one morning. 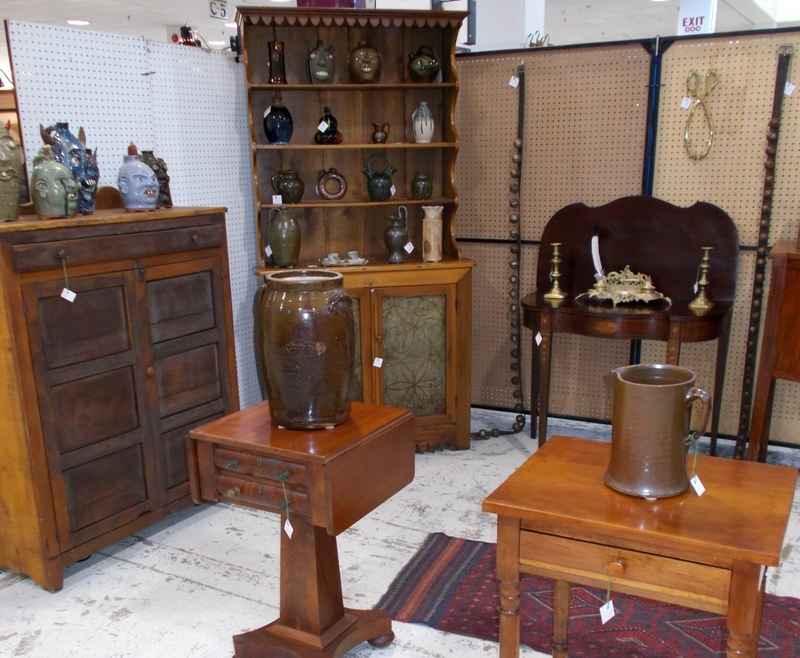 Their first purchase was a burl walnut pedestal stand, at least 300 years old but in excellent condition. Immediately after, they also acquired a gentleman’s chair, from about 1700, also sometimes called a corner chair, in its original black surface with an early rush seat. That dealer later in the weekend also sold a valuable Persian Tabriz rug, several quilts and a primitive pine chest found in Virginia. This couple continued their shopping that morning, buying a William and Mary period drop leaf table from Atlanta dealer Mr Chippendale’s Best. 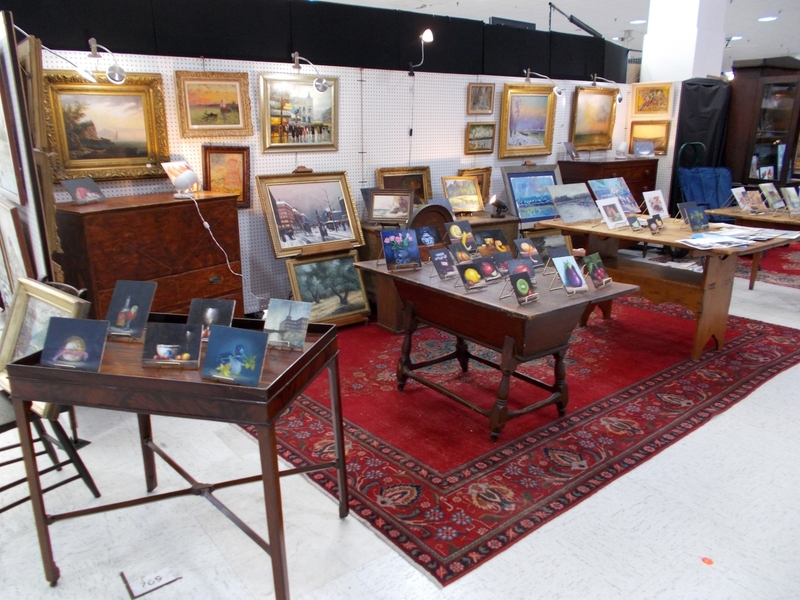 Over the weekend, the dealer sold a collection of art offerings, both Edwardian period and contemporary works from English painters. 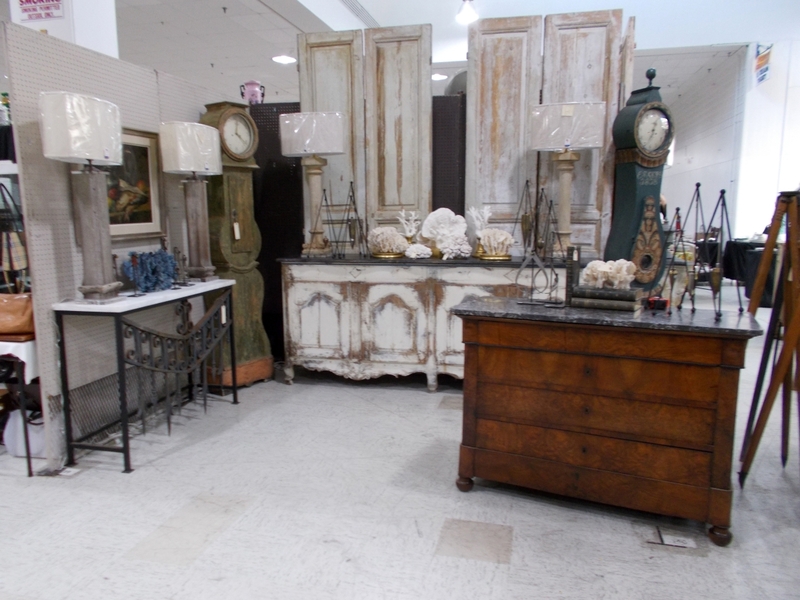 Kemp Hickey is an Atlanta dealer with an eclectic mix that has proven popular with Atlanta shoppers. This weekend, his collection included several Biedermeier-style pieces, including a four-drawer chest in walnut with marble top, two Continental tall case clocks and an assortment of iron tables with glass tops. As always, he also had a large collection of art from around the turn of the century. Alderman Ford Antiques and Jewelry, Columbia, S.C., made its weekend with sales in silver hollowware. Margaret Alderman-Ford also sold a reasonable amount of jewelry. 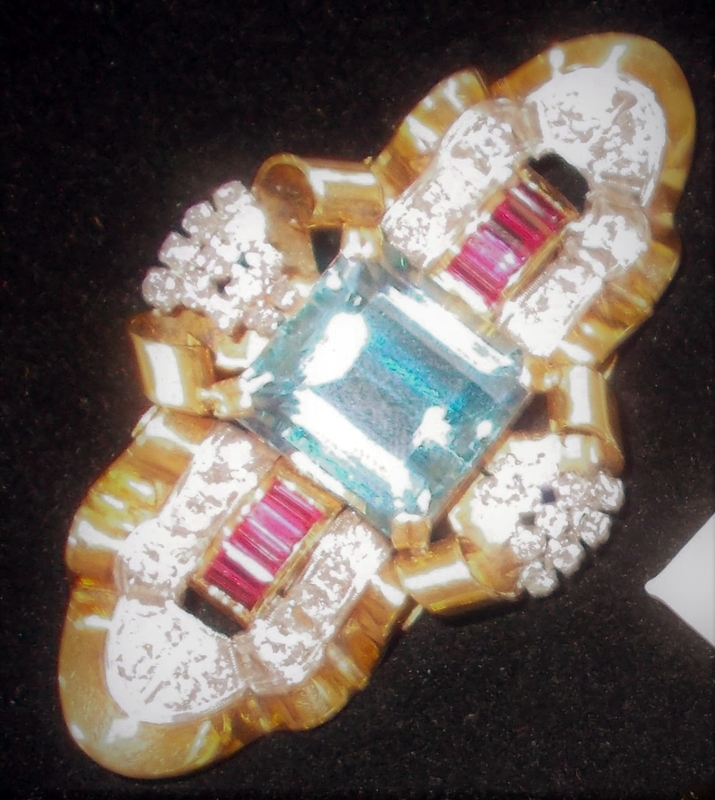 She specializes in a semiprecious form of beads that she makes and sells as well as estate jewelry. 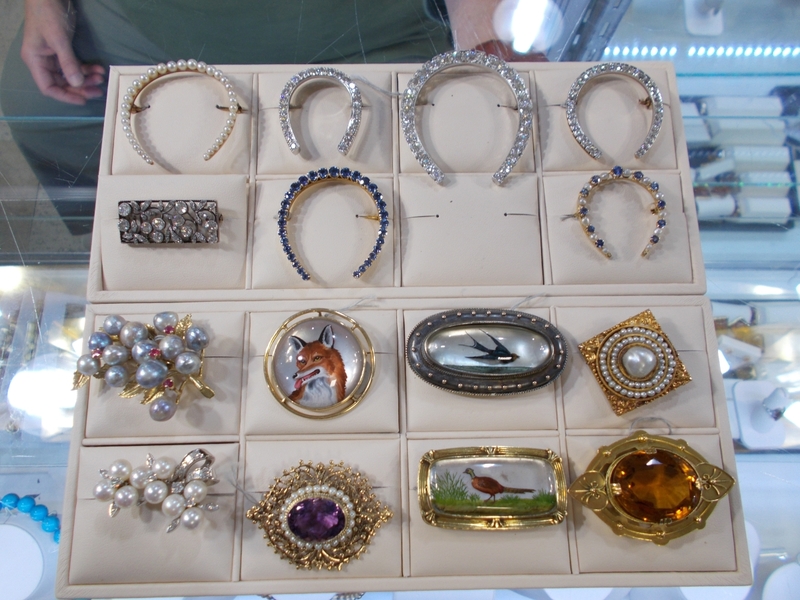 This weekend, there was a collection of cameos, brooches from about 100 years ago with precious stones and animal figures available. 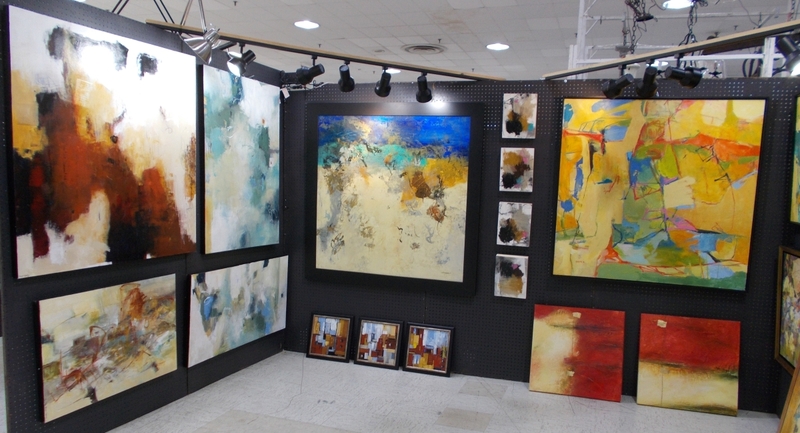 Fairly new to the show was Kimberly Moore from Fort Lauderdale, Fla., who specializes in the later modern styles. Her collection included both American and European designers. She was rewarded with an early sale of a Danish Midcentury Modern dining set in mahogany with chairs that snugged up into the table, an English desk and several pieces of art. Thomas Hoke Antiques, Salisbury, N.C.
A set of four chinoiserie chairs in Jim Butte’s exhibit area were attracting a great deal of attention, but they did not sell. He did, however, sell a set of ten Eighteenth Century dining room chairs of Hepplewhite design, along with a variety of other small antique accessories. 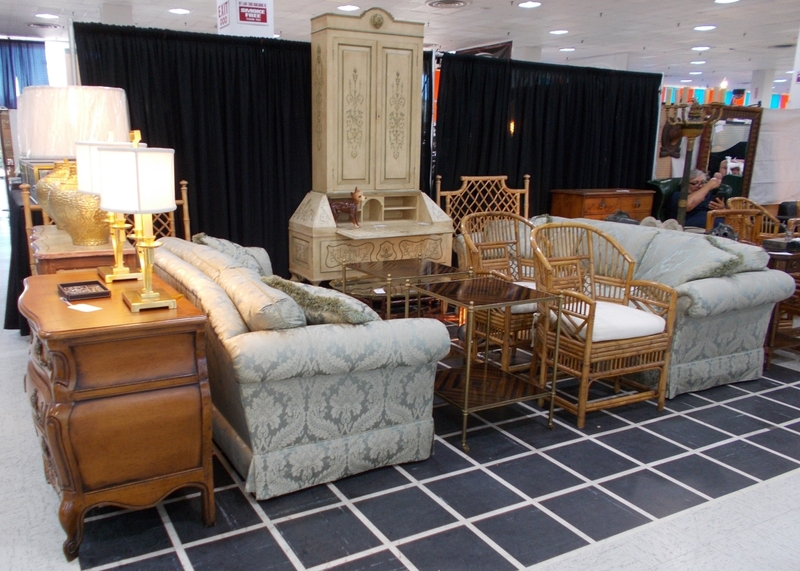 Connie Walker, Barnesville, Ga., is at the show every month with a collection of Eighteenth and early Nineteenth Century furniture she has found and restored. This month, she featured several William and Mary chests and a Hepplewhite tall chest. Father and son team Jerry and Will Dehner trade in sports memorabilia at the show and from their home in Roswell, Ga. This weekend was their first time at Scott Antique Market, and Jerry said they were sure to return, as sales were excellent. 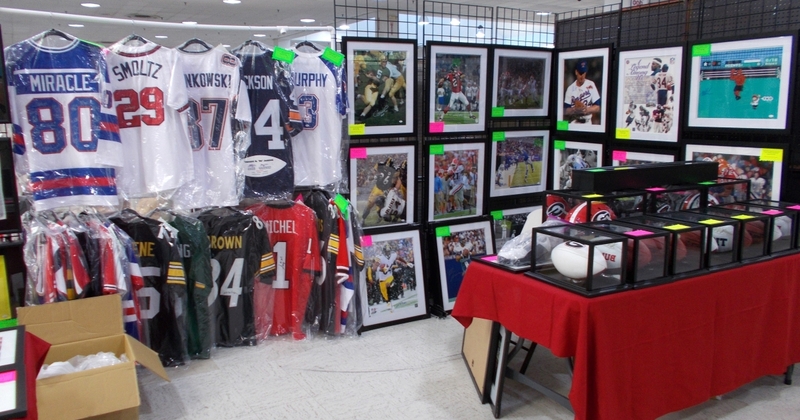 He pointed out that many of the men were buying sports memorabilia while their wives were shopping for the home or buying Christmas presents. Silver hollowware includes services for coffee and tea sets, trays, candle holders and decanters, among other pieces. 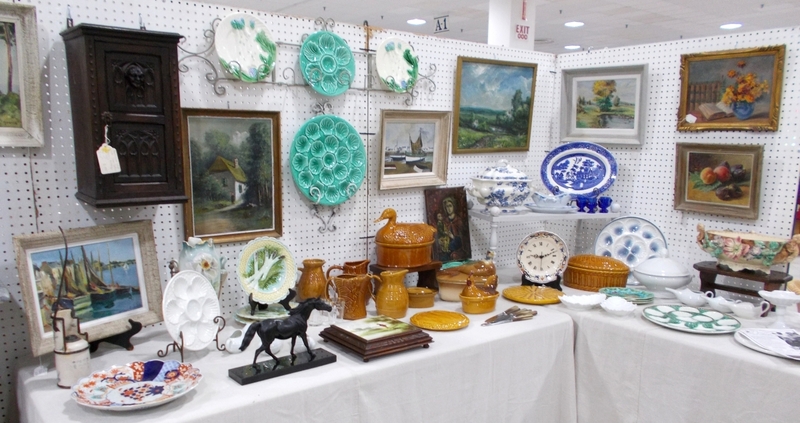 Atlanta dealer Kay Mauriocourt has been at the show since it began almost 30 years ago, and was offering a wonderful collection she keeps stocked, polished and ready for use. This month she said sales were good and added that perhaps it was because shoppers were getting ready for the holiday season for their own use and gift-giving. 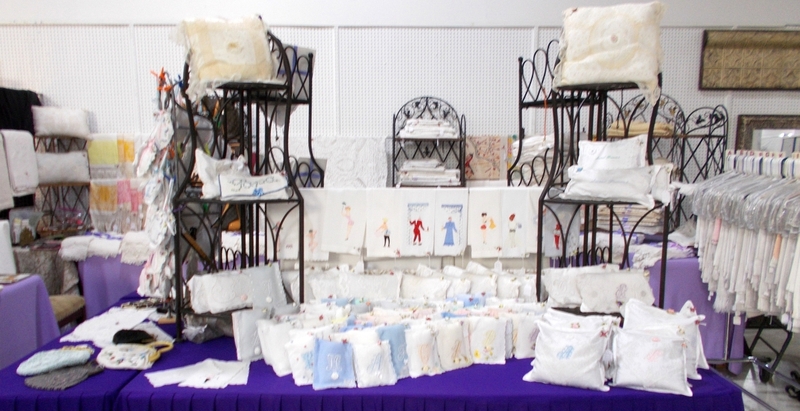 Ruchelle Davis of Town and Country Vintage Linens and Textiles, Rome, Ga., is at the show virtually every month. She has linens for both the guest and the dining room ready and ironed, as well as a large collection monogrammed as well. The Southern Scallywag – that’s what he calls himself – from The Rock, Ga., offered Eighteenth Century American and English furniture. He said that by Saturday afternoon he was having generally good sales but was too busy to be specific. From Augusta, Ga., Paul Boulus brought a collection that is always mixed – from Georgian English to Midcentury Modern. He has said that it all depends on what he finds, but he also usually has an assortment of antique Oriental rugs. Mount Castle Antiques, Atlanta and East Hampton, N.Y., was selling benches found in a restaurant in Florida. 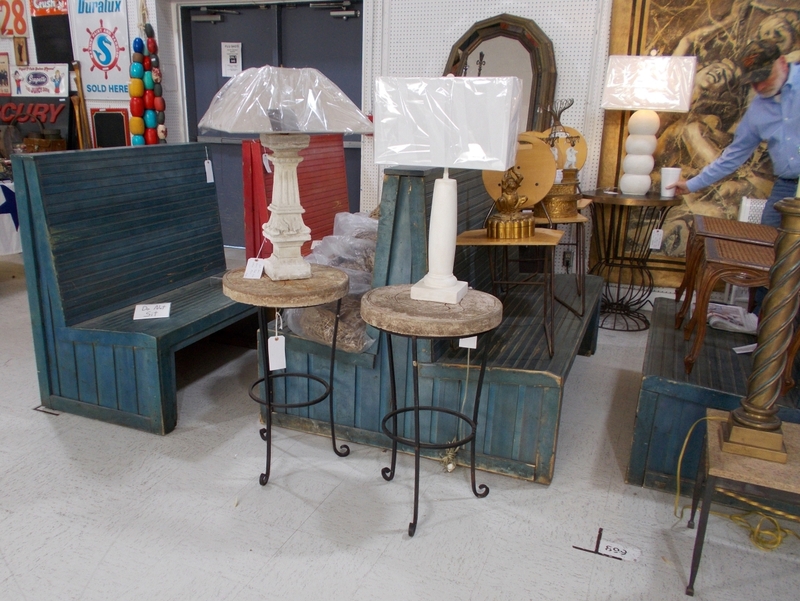 Made of wainscoting and painted in a variety of colors, the benches were very popular this weekend and sold well, along with other campy items. Todd Harper, Athens, Ga., also sold well, with furniture going to new homes. He sold a large Eighteenth Century American chest, along with several small stands and a cabinet, as well as some Southern pottery. Another Athens, Ga., exhibitor was having fun over the long weekend. John Knowlton is at the show virtually every time with a large selection of Eighteenth and early Nineteenth Century English and American furniture. This month, he sold five chests, either Chippendale or Hepplewhite, along with a late Eighteenth Century dining room set that included the table, eight chairs and secretary. At the front of his booth, Richard Purvis, Raleigh, N.C., had a life-sized mannequin of a chubby chef. It had probably spent some part of its life on the sidewalk somewhere attracting customers to a restaurant. 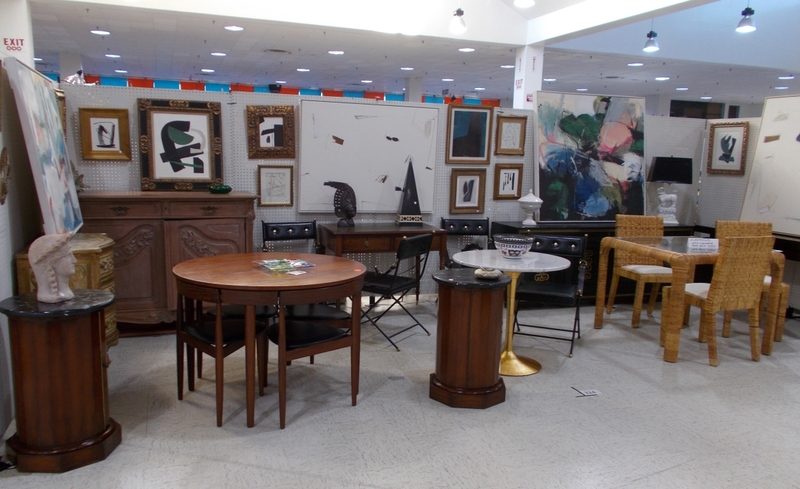 If interested, check with Purvis as it might not have sold during the show, though he did sell a lot of early furniture. 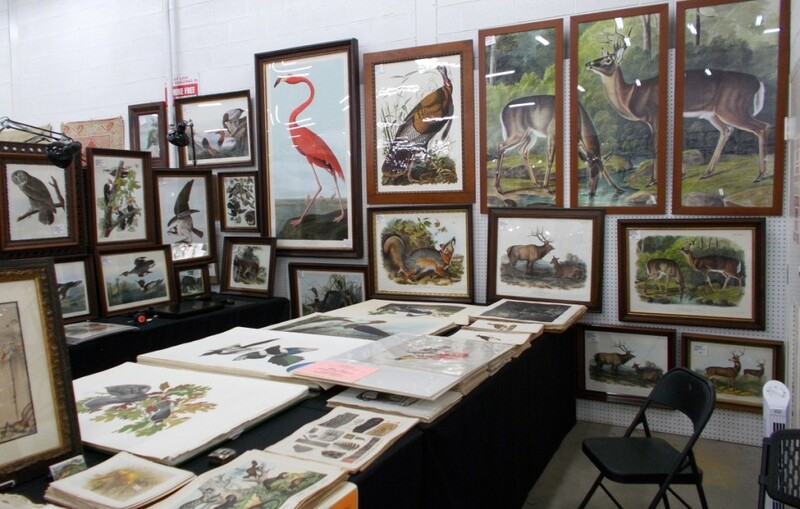 Scott Antique Market Atlanta is the second Saturday weekend of every month, from Thursday through Sunday. The next markets will be November 8-11 and December 6-9. 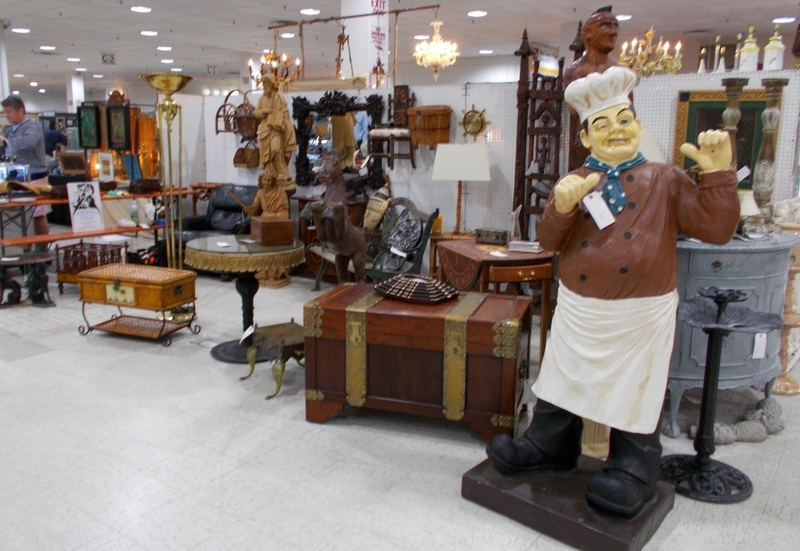 Scott Antique Market Atlanta is at 3650 Jonesboro Road, just off exit 55 from I-295 in the two buildings, Atlanta Expo North and South. 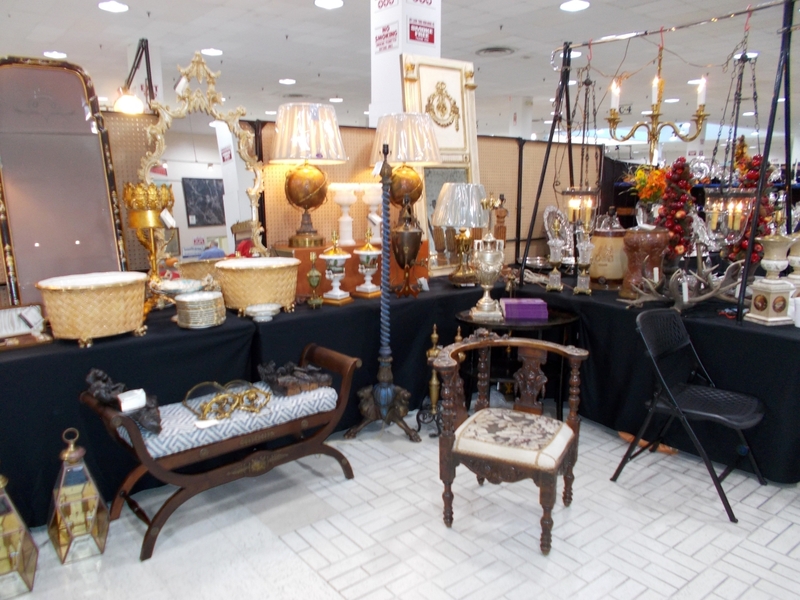 Hotels for exhibitors are easily available in Morrow, Ga. For more information, www.scottantiquemarket.com or 740-569-4112.